A Turkish gendarmerie team who successfully executed a skillful rescue of 12 people stranded in the Tigris River in July has been presented with a courage and skill award by Sikorsky, the maker of the helicopter used in the operation. Twelve citizens, mostly children, were stranded on an islet in the river after water level surged as they attempted to cool off on July 10 in southeastern Turkey's Diyarbakır province. Diyarbakır Gendarmerie Air Group Command under the Gendarmerie Aviation Presidency responded to the alert, immediately putting in action a rescue mission as the high water levels endangered the lives of the stranded people. Through research, the team assessed that the water level could not rise further, so bringing the helicopter close to the water surface to perform the rescue would not threaten the helicopter. The mission concluded with the safe rescue and evacuation of all stranded citizens. 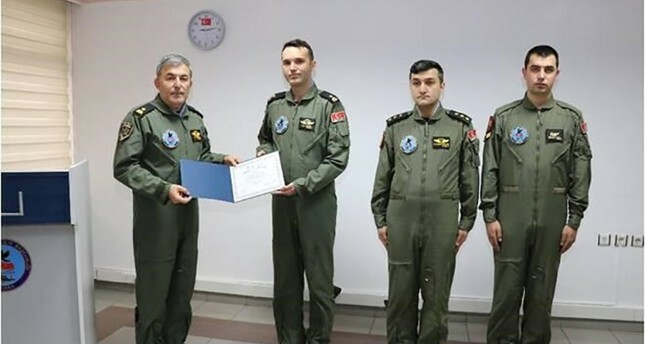 Sikorsky Company recognized the "life-saving" operation with a "Certificate of Rescue" for courage and skill in successfully performing the rescue, presented to the Gendarmerie team's pilot Maj. Utku Așkın, pilot Lt. A. Ayacan Savaș and Air Sgt. Güner Kızıl.